Mix the Chia Seeds with the Milk and the Water with 1 Tsp. to 1 Tbsp. of Agave Syrup. In the first 10-15 minutes you once in a while have to stir it. Then set it aside for at least 2 hour or over night in the fridge. When the basic is ready prepare the fruits by cutting them in little pieces (precook them or use them raw) or blend them (what I did) to a thick smoothie with 1/2 Cup of Soy Milk. Sweeten it with Agave Syrup if you like. Roast the nuts in a pan. 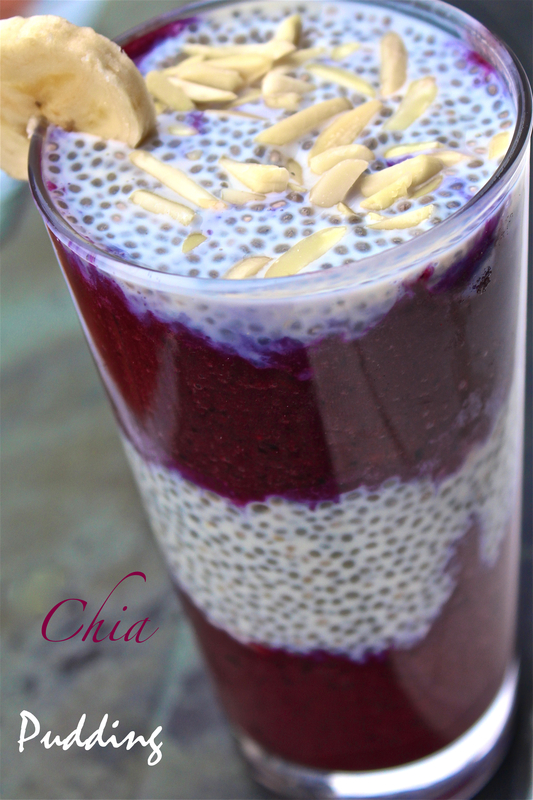 You can make layers in a glass with the Chia-Milk mix and the fruits or stir it all together. Top with the roasted Nuts. And enjoy it for Breakfast, Snack or Dessert. You can prepare the whole glass the night before and store it in the fridge. Top off with crunchy roasted nuts or seeds or add some granola for your perfect breakfast. This looks great! Does the agave syrup help it become gelatinous or is that to sweeten it? I would love to try this but want to check how essential the agave is first! Hi Dr. Icecream! The Agave Syrup is only to sweeten it. It’s less in calories then sugar and a very strong sweetening, without a strange taste. 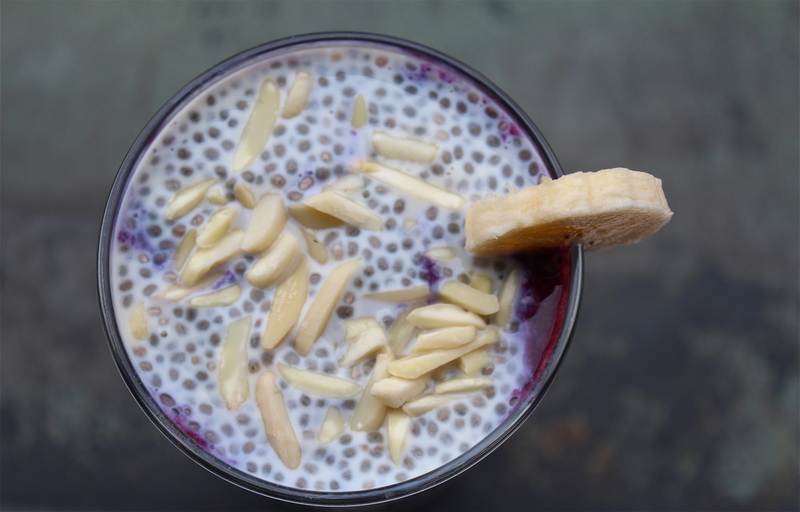 Only the Chia Seeds makes it gel-like.